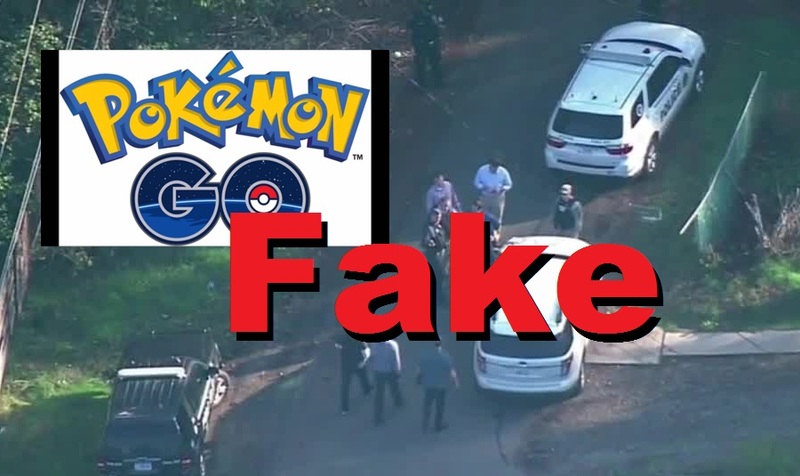 Pokémon Go has been taking the world by storm, and lots of reports have been popping up around the web regarding its direct and indirect effects - one of which reports a 15y old was shot after trespassing into a neighbor's home while trying to catch a Pokémon. Fortunately, it's just a made up story. The augmented reality geo-located game is a sort of Ingress tuned to a much wider (and younger) public. In this game you can catch Pokémon as you move around in the real world, and in facto you do need to move around to catch them and play around. So, the report of a 15y being shot to death while playing the game wasn't that far fetched... but luckily, it's origin is a satirical news site. Tough this is a lie, there's no shortage of weird occurrences that do show people need to take some precautions when playing Pokémon (mostly, common sense), as we have people falling from cliffs; others finding dead bodies; and even some crafty goons that resort to the game's Lure Modules to actually lure players so they can rob them! So, should you decide to play this game, just keep in mind you still need to keep an eye out on the real world, and beware where you walk or drive into. If possible, play in group with friends, but even if you do, remember no game is worth getting into trouble - or becoming the next "news" about the games.